Clean the minced meat and pressure cook it with 1/2 tsp turmeric powder,1 tsp ginger-garlic paste1 tsp freshly ground pepper powder and 1 tsp salt to taste for 7 mins.Keep aside. Open the pressure pan and saute it till masala gets dry. Meanwhile,take a bowl,beat the 6 eggs with chopped onions,1 tsp salt,4 no.s green chillies,1 sprig curry leaves,few chopped coriander leaves.1/2 tsp coriander powder.1/2 tsp cumin powder,1 tsp chilli powder,1 tsp corn flour pasted with 2 tbsp water and 2 tsp ghee. Now add the cooked minced meat with the beaten egg masala,mix them well. Heat oil in a tawa and do omelette . Serve it with rice or with tomato ketch-up.Happy Cooking. Sorry reduce the green chillies to 2 no.s and chilli powder to 1/2 tsp,pls. sorry, minced meat must be 3/4 cup or that of 4 boneless mutton pieces.In Step 1: pressure cook the minced meat mixture with 2 cups water. Memon Sir! thanks for your comments!.It's not my baby but me 37 years ago!. Christie, it sounds great. 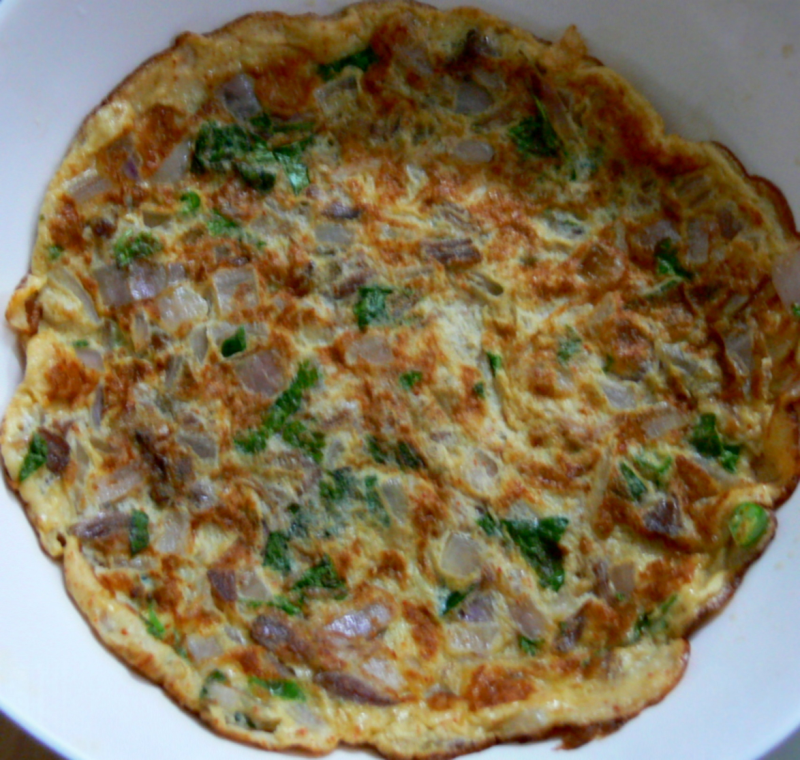 We usually make such omlette with simply leftover Keema masala (minced meat cooked with all spices and ready to eat with chappati/roti/fulka or even with rice with added water in the mince masala. Please repeat the same recipe without pressure cooker either on this website or to my email address anwarmemon@hotmail.com. Thanks and may God bless you and your family specially to your cute baby.